Thousands have gathered in Algeria's capital to demand the immediate resignation of President Abdelaziz Bouteflika despite him dropping his bid for a fifth term. The BBC's Mohamed Arezki Himeur in Algiers says it is the biggest protest in memory, with people of all ages packing out the capital's boulevards. Police have fired tear gas at protesters near the president's office. Students have been leading the massive anti-Bouteflika protests, now in their fifth week. Our reporter says that the latest demonstrations included many families in what has generally been a peaceful and good-natured atmosphere. The ailing octogenarian rarely appears in public and has not given a public address since having a stroke in 2013. He returned to the country earlier this week after being admitted to hospital in Switzerland. 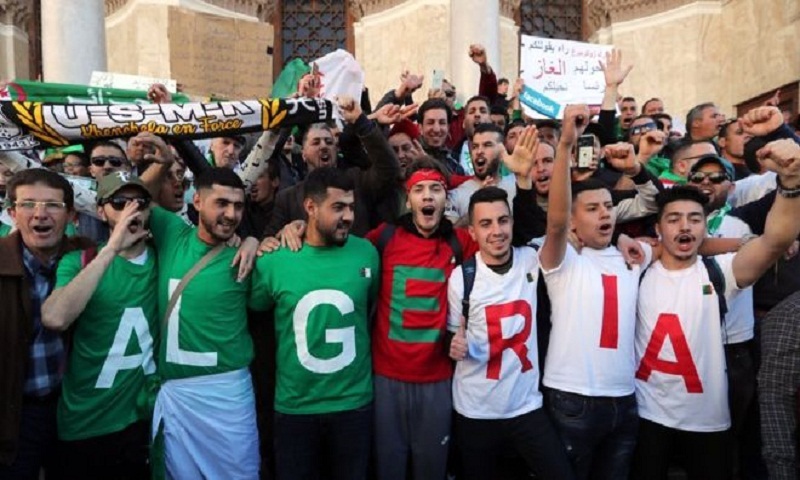 Half of Algeria's population is under the age of 30. Youth unemployment has spurred anger against the government.